To continue celebrating the release of Arise, I've teamed up with another two book bloggers to offer giveaways of the complete series. First up is I Read Indie where you can win an ebook copy of all three books. 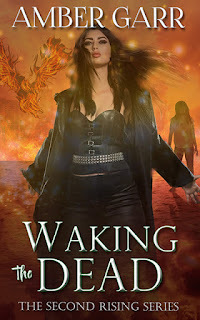 Contest ends July 22nd and Mandy will be reviewing Arise in September as part of a blog tour. You can see her review of Promises and Betrayal on her site. Next is Beloved Books where you can win either an ebook copy (international) or signed paperback copies (U.S. only) of the whole series. This contest ends on July 20th and you can also see a new interview posted along with the giveaway entry form. And of course, don't forget the YA Mythology giveaway open until August. Win five signed paperbacks plus SWAG! Be sure to enter HERE. On other news, the entire series will be a part of two upcoming blog tours. They will be going on in July, August, and September and I will update you with the schedule as they evolve.